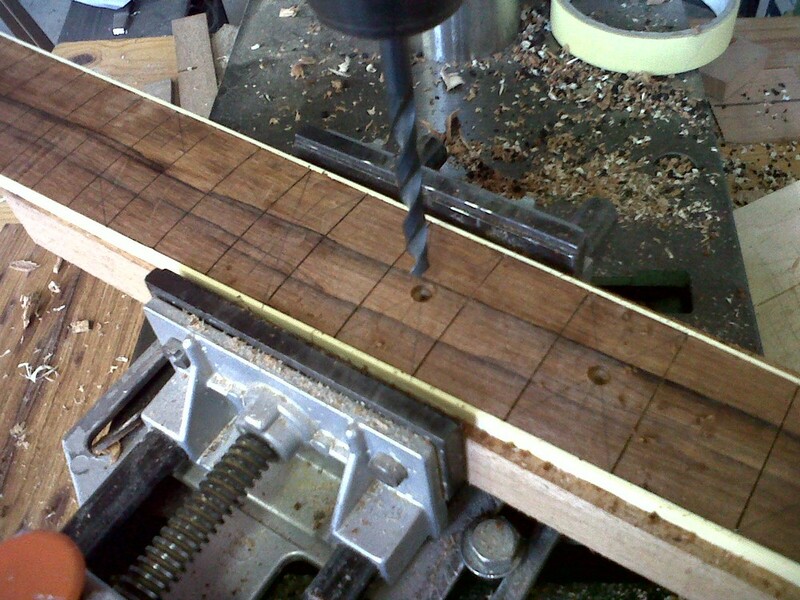 The neck of the guitar is made in maple or mahogany, occasionally Spanish cedar. It has a modern two-way truss rod that makes it easy to adjust to the optimum neck set-up for any playing style. 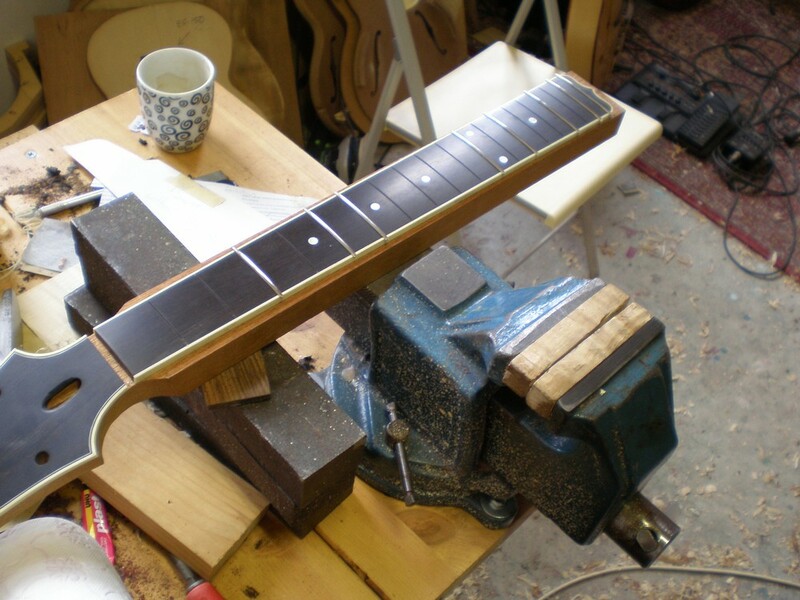 Frets are nickel silver or EVO (harder alloy) in medium high, wide style like used on many other archtop guitars. 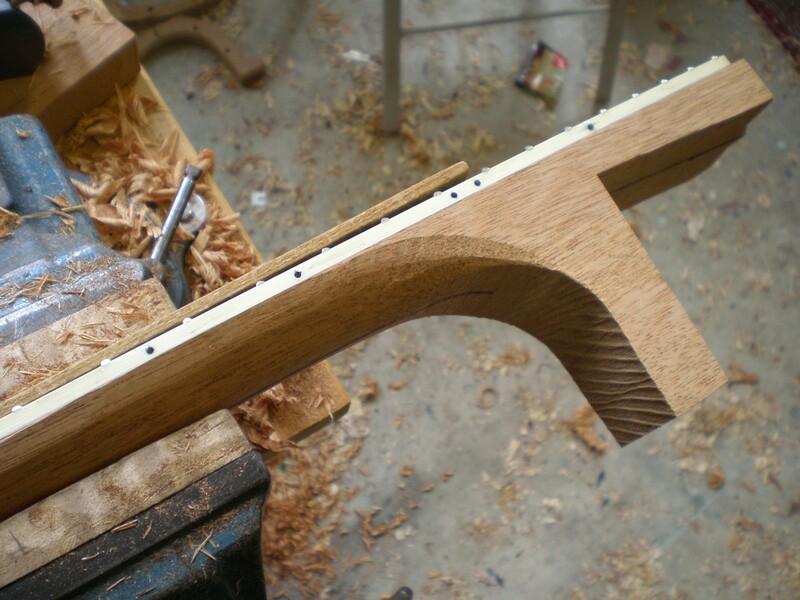 Narrow or lower fretwire is optional. The headstock is overlaid with ebony and inlaid with mother of pearl designs and the Slaman logo.